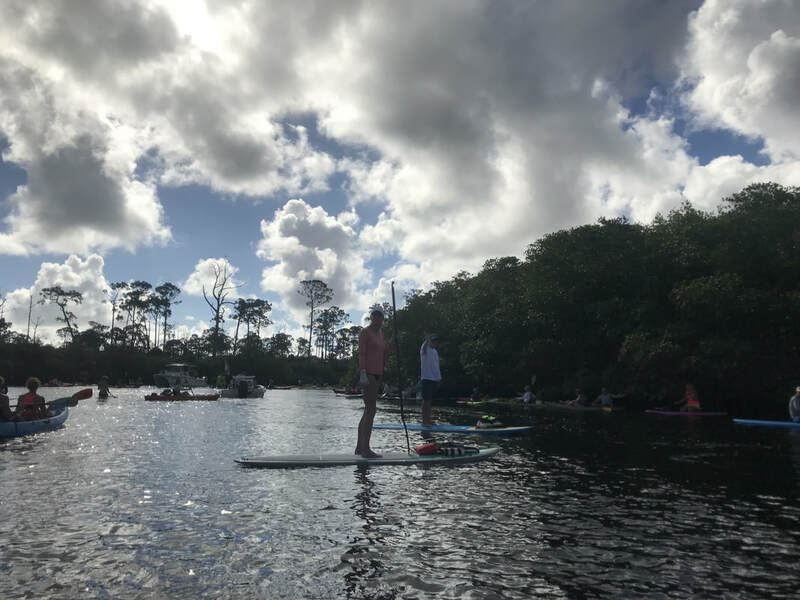 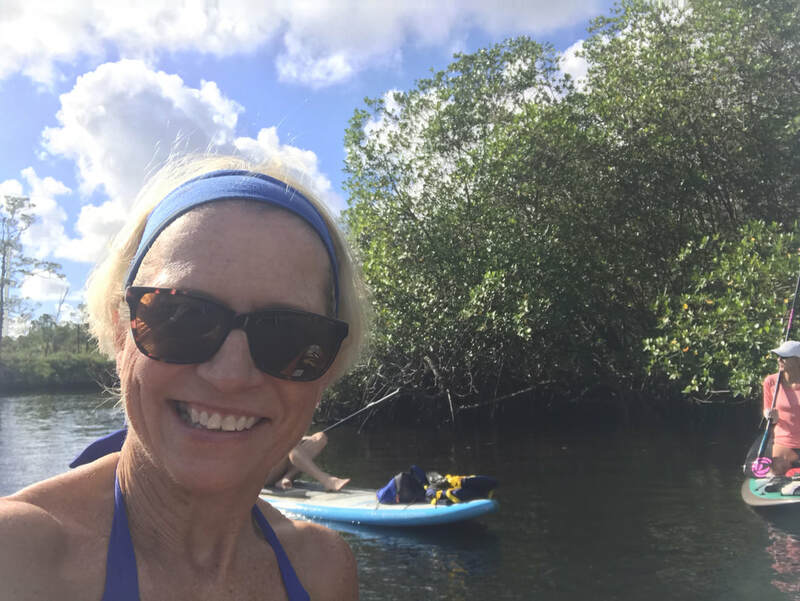 Scoobie Eckert, who many know from her friendly presence at Juno Beach Cafe, participated in the River Paddle Event on the Loxahatchee River at Jonathan Dickinson State Park (Oct. 14, 2017), and shared these photos and videos. 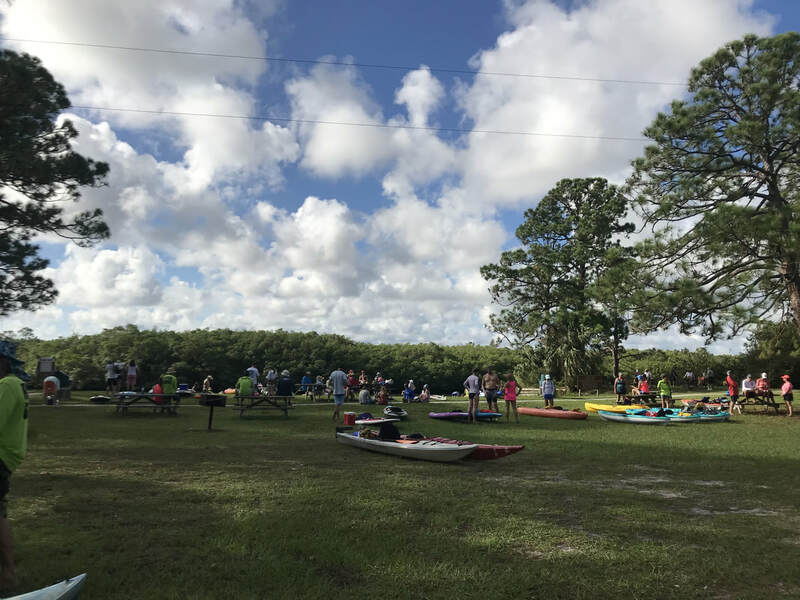 She was joined by dozens of other avid paddlers, kayakers and canoe enthusiasts. 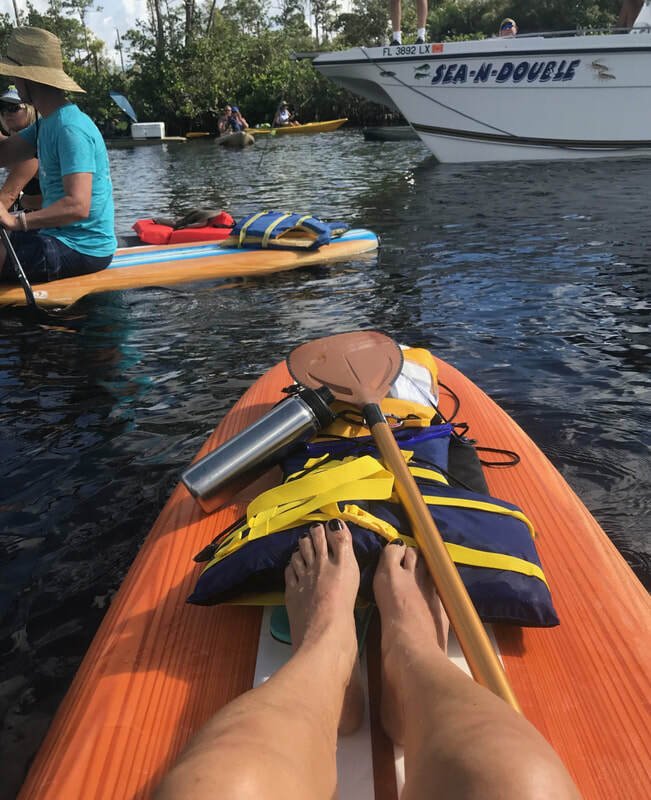 We wanted to join, but wasn't sure we could find a good spot for two lawn chairs and a pitcher of martinis.